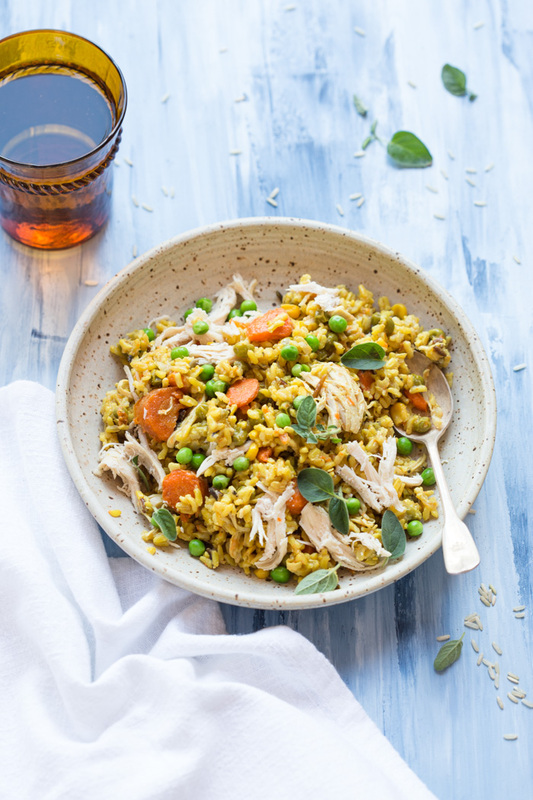 This Instant Pot Chicken and Yellow Rice recipe will have you screaming “WINNER WINNER CHICKEN DINNER”! It’s so easy and convenient when you have zero time to cook and need dinner on the table fast. Bonus points, one pot clean up. Yipee! 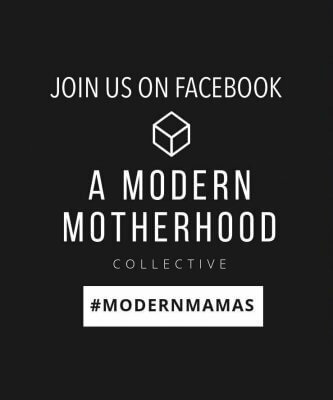 And that’s why the IP is one of my top gifts for the modern mama and simple for making chicken breast in the instant pot. 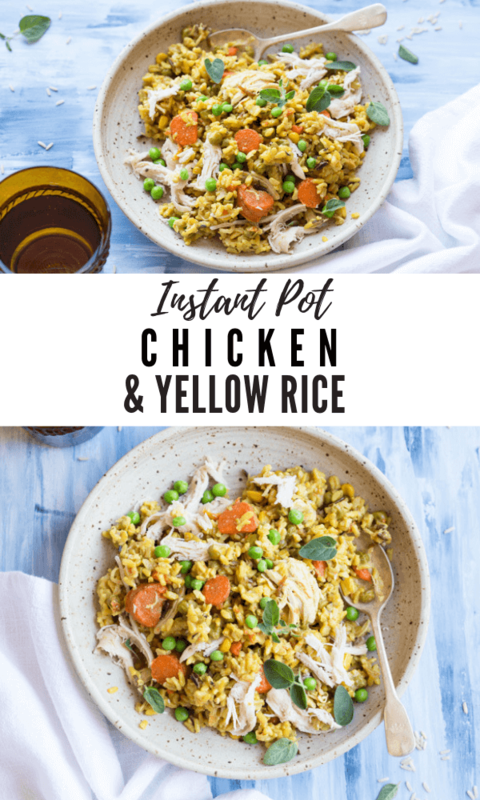 Update – I gave in and ordered a 6 Quart Instant Pot on Amazon Prime Day (this a link to the one that I use for this recipe) earlier this month and have successfully cooked this Instant Pot Chicken and Yellow Rice recipe at least once a week. 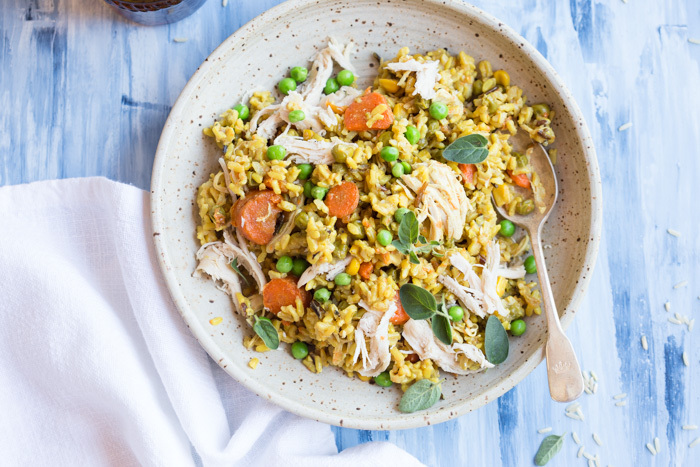 Because cooking chicken breast in the instant pot is pretty amazing and life changing. I’m one of those people that wait until the last minute to decide what’s for dinner. 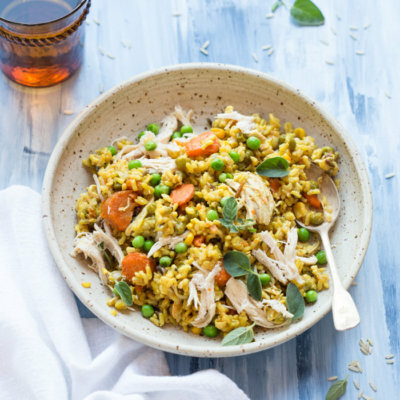 Enter Instant Pot and more Instant Pot Chicken Breast recipes. Woot woot! For this recipe, the chicken breasts will cook for 25 minutes. Always make sure to refer to the recipe card for chicken breast cooking time in the Instant Pot. Watch our recipe video for visual prep instructions and tips! How to cook frozen chicken in Instant Pot? Exact cook time will depend on the thickness of the chicken breast. When I use frozen chicken breasts, I generally cook them for about 12 minutes. To ensure they’re cooked through, they should be at least 165 degrees F.
The Instant Pot is also my new favorite way to cook shredded chicken. 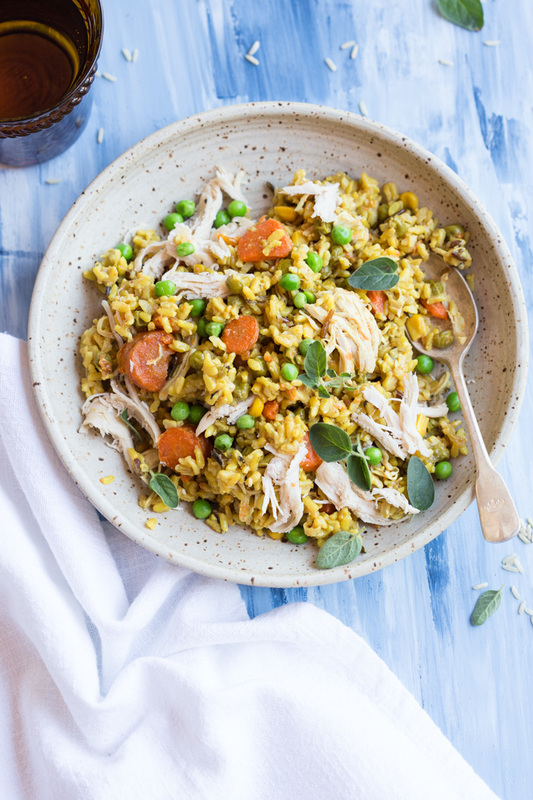 You’ve gotta try my Instant Pot Shredded Chicken recipe. Seriously though, theres nothing better than tossing frozen (or fresh chicken breast) into this nifty kitchen gadget and having chicken for days! Goodbye slow cooker, hello Instant Pot. 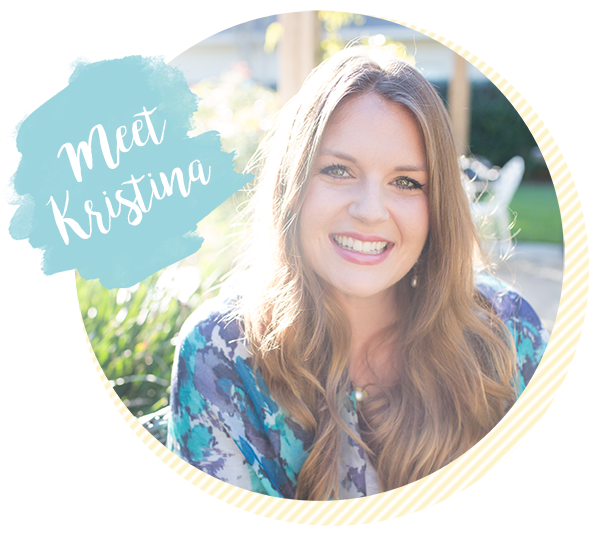 Why I love my Instant Pot? And it’s actually pretty intuitive to use, thank goodness! One of the big pros is that you can sauté in the pot. Have you ever wanted to sauté up your veggies or brown your meat before tossing it into the slow cooker?? My hand is raised high. I would generally skip that step in the name of NOT DOING THE DISHES even though I know that is what helps to lock in the flavor on pot roasts and develops more depth in dishes that call for onions. Also because of the fact that I hate dishes. So the IP now saves my life. I’m definitely a minimal dish type of gal because, honestly, the last thing I want to do after a long day is wash a bunch of dishes! And I’m thanking my friend Jo for making this Cajun Vegetable Rice and convincing me to Amazon Prime this IP. Can’t wait to see what all I come up with using my Instant Pot! Stay tuned. If you need an Instant Pot this is the one that I recommend and use! 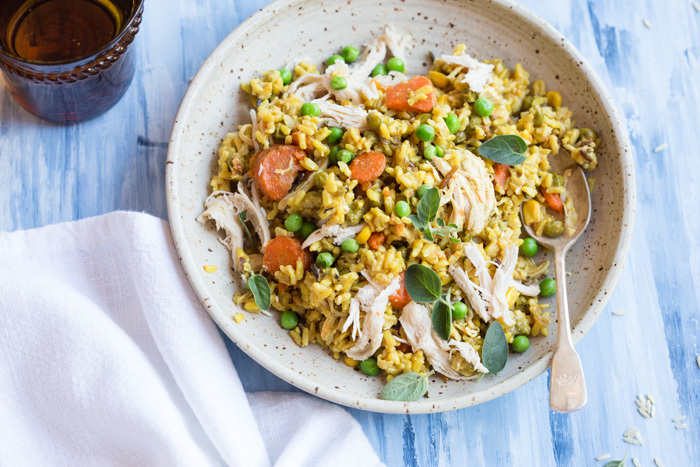 This Instant Pot Chicken and Yellow Rice will have you screaming winner winner chicken dinner. It’s so easy and convenient when you have zero time to cook and need dinner on the table fast. Bonus points, one pot clean up. Yipee! Using 6 qt Instant Pot, turn on to SAUTE mode on NORMAL heat. Heat olive oil and sauté onions until translucent, 3 minutes. Press CANCEL to turn off Instant Pot. Add broth and brown rice to the pot and mix with onions. 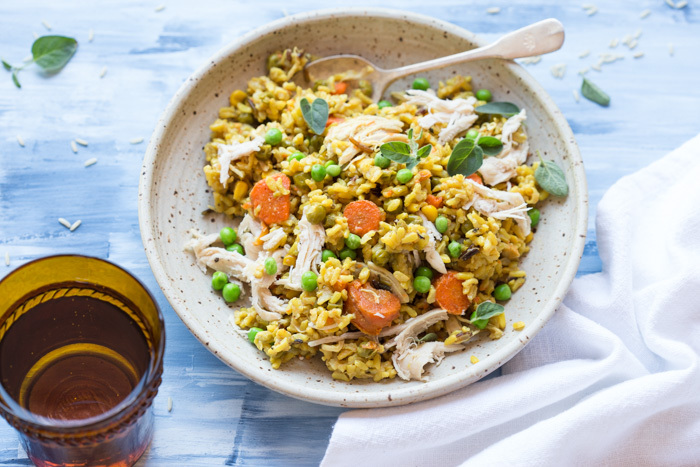 Stir in carrots, frozen peas, frozen corn, turmeric, saffron, oregano, bay leaf and season with 1/4 teaspoon salt and 1/4 teaspoon of pepper. IMPORTANT: Stir the rice and veggies to make sure to fully incorporate vegetables with the rice. Arrange chicken breasts on top of rice mixture; season with remaining 1/4 teaspoon salt and 1/4 teaspoon pepper. IMPORTANT: Push chicken down into the rice with some veggies on top of the chicken. Secure lid on Instant Pot, and turn nozzle to SEALING. Cook on MANUAL setting with HIGH PRESSURE for 25 minutes. IMPORTANT NOTE: It takes 15 minutes for this dish to reach pressure!! Don’t worry, it will get there. Once time is up, allow pressure to go into KEEP WARM mode for 10 minutes to allow the pressure to release some naturally. Then press CANCEL on the Instant Pot and twist the steam release handle on the lid to the VENTING position. 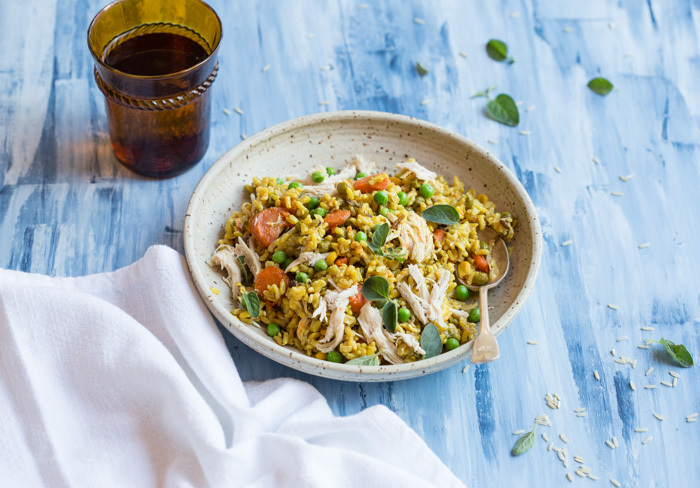 Once steam has released and fully depressurized, open Instant Pot lid to shred the chicken and gently fluff into the rice mixture with a fork. Be sure not to “overmix” chicken and rice mixture. Carefully remove the inner pot to prevent the rice from sticking to the bottom. Serve warm. 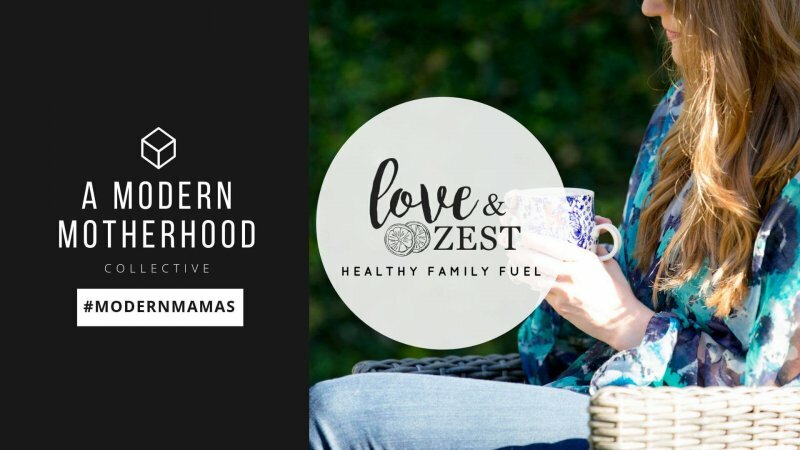 Disclosure: This post contains Amazon affiliate links to products we believe in, which means that even though it doesn’t cost you anything extra, Love &amp;amp;amp; Zest will receive a small amount of money from the sale of these items. Nice to see something healthy and reasonable portions. Hurrah, Healthy Lady. Delicious! I changed it a little (because of our small family size) and seasoned it a little differently. I only used 1.5 cups rice and 1 2/3 cup broth. I subbed bell peppers for the corn and peas because I didn’t have those and added 1/2cup sofrito. I don’t have saffron, sadly, but used sazon with saffron instead. I cooked per your directions and it was moist and incredibly delicious. My husband and daughter (age 6) raved. YAY! I’m so happy to hear this recipe was a hit for the whole family. Thanks for sharing your tweaks– I love mixing up the seasonings too. It looks delicious but not sure if I should cook on the stove, oven or in my crockpot. What changes and how would you cook this without an instapot? 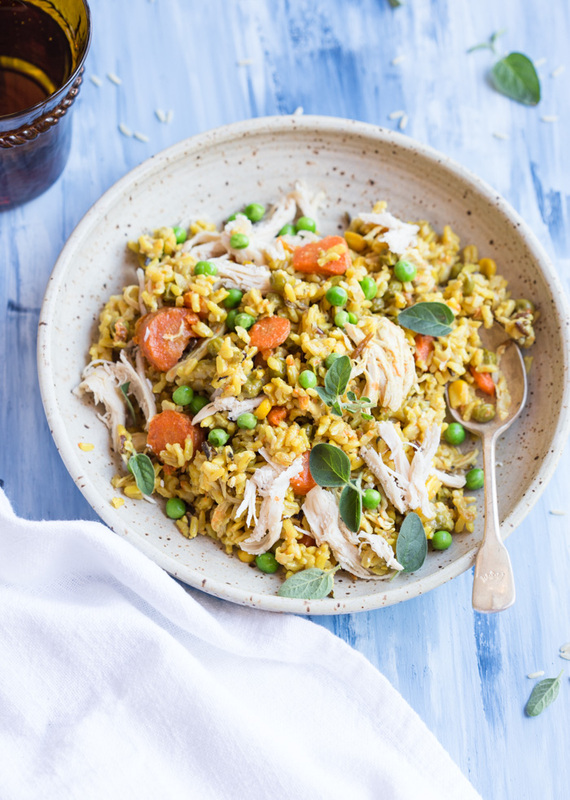 If you wanted to cook it in the slow cooker, I’d probably cook the rice separately and then cook the chicken and veggies in the slow cooker for about 6 hours on low, or until chicken is fully cooked… then mix the rice in after or serve on top of the rice. I haven’t tested it this way however, but just an idea on how I think it could work.